The best part of waking up? The Jack Daniel’s coffee in your cup, of course. 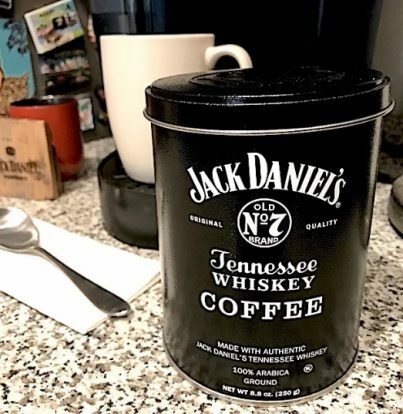 Jack Daniel’s has jumped on the coffee bandwagon and started making its own brew that tastes like whiskey. They’ve got their own coffee cups, travel cups, coffee beans and Arabica ground. Our unique blend of gourmet coffee is 100% Arabica, infused with authentic Jack Daniel’s Tennessee Whiskey, and roasted medium to provide a full-bodied rich flavor. The distinct caramel and vanilla notes of Jack Daniel’s Old No. 7 Tennessee Whiskey are evident in each sip. We have been roast masters since 1984 and adhere to strict quality standards in the sourcing and production of the best tasting coffee. Just like Jack Daniel’s Whiskey, our coffee blend is crafted with pride using premium beans and proprietary roasting methods for a delicious brew with bold character and a smooth finish. Unlike with a boozy Irish coffee, you can’t get drunk on Jack Daniel’s coffee blend as it does not have any alcohol content. The beans are soaked in the whisky for a long period of time, but the roasting process takes away any alcohol, leaving the deep, smooth cinnamon flavour on them.